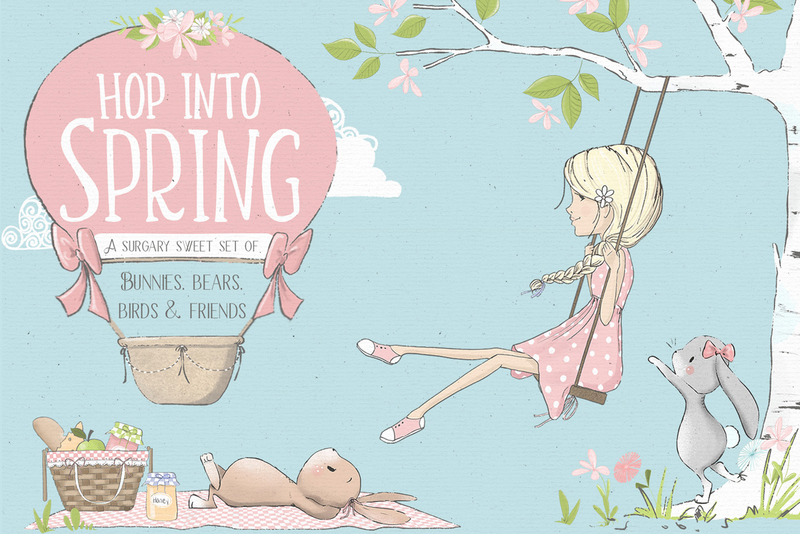 A sugary, sweet illustrated set of springtime bunnies, birds, bears & friends. 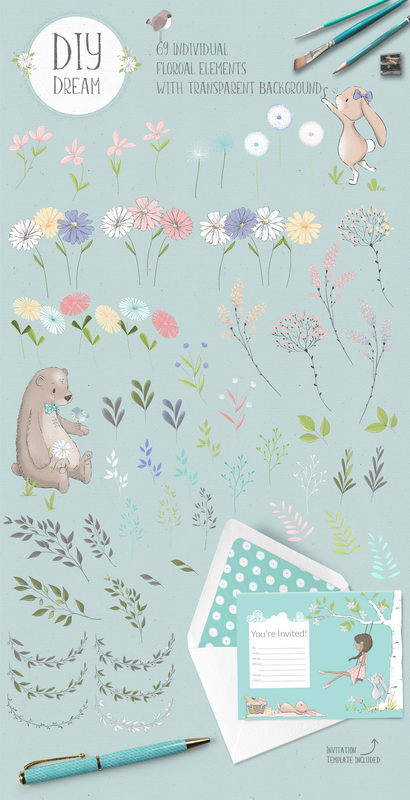 This cute collection of springtime goodness was a real joy to illustrate and just the thing for your next little project. 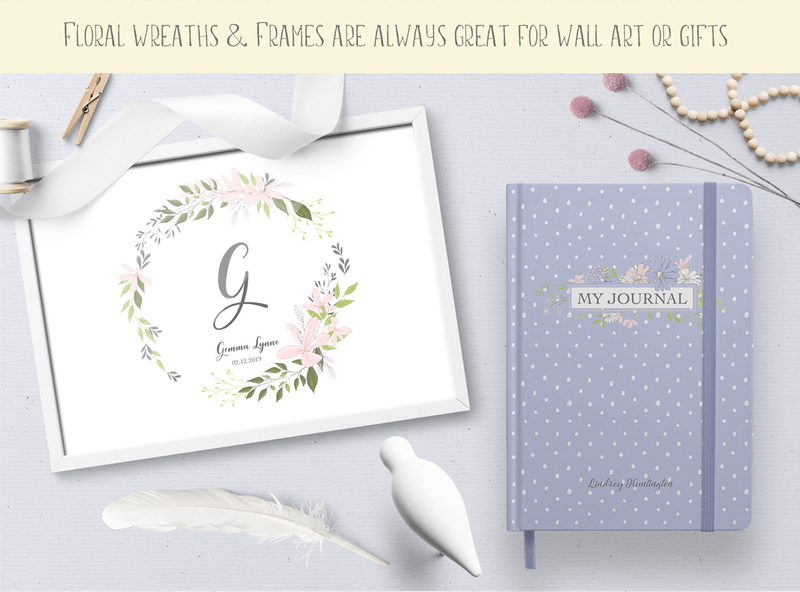 If you’ve been dreaming up the sweetest set of greeting cards or invitations or thinking of putting together some cute wall art or surface pattern designs, then this set will be just perfect. 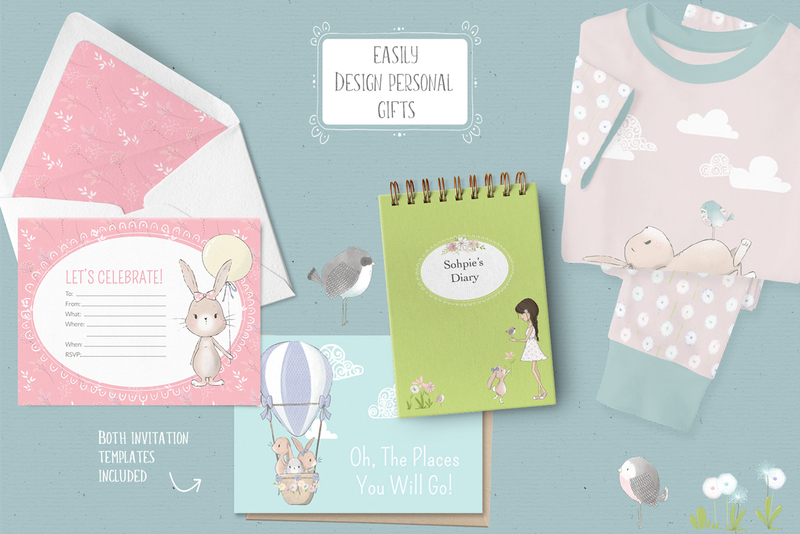 I’ve carefully crafted this darling set whit everything you’ll need – from adorable characters, to spring scenes, to all the floral accessories you could want, saving you so much time and making it so much fun! 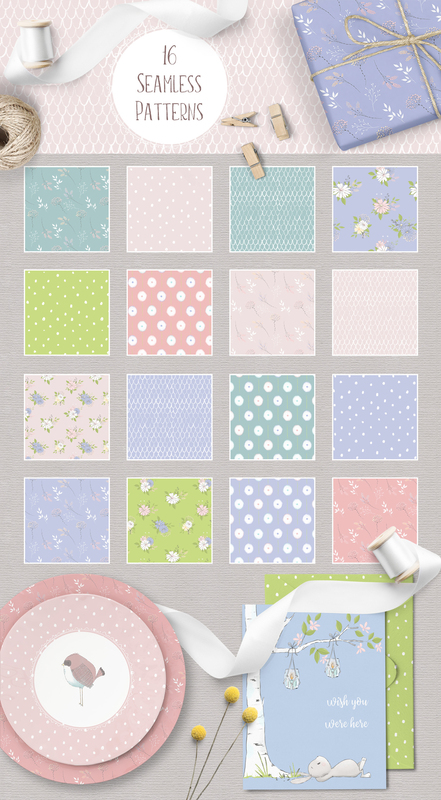 You can be sure that with over 195 elements, this pack will cover all your springtime designing needs and you’ll have an absolute blast doing it! 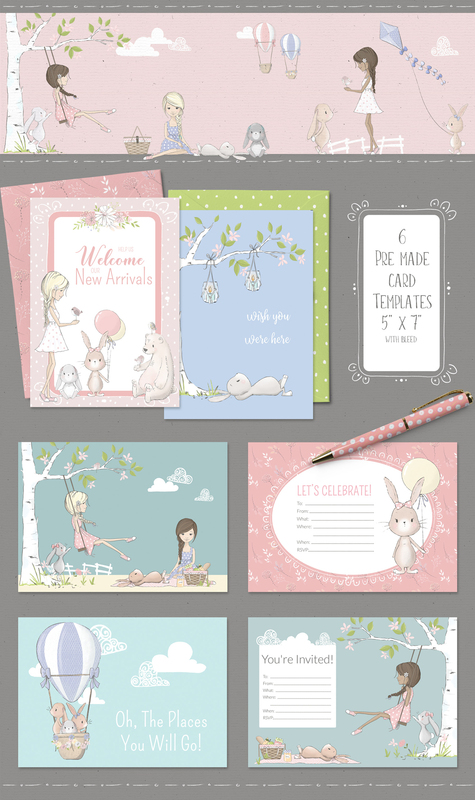 Easily create invitations or scenes with the pre-made templates that come in .PSD format and .JPG backgrounds. 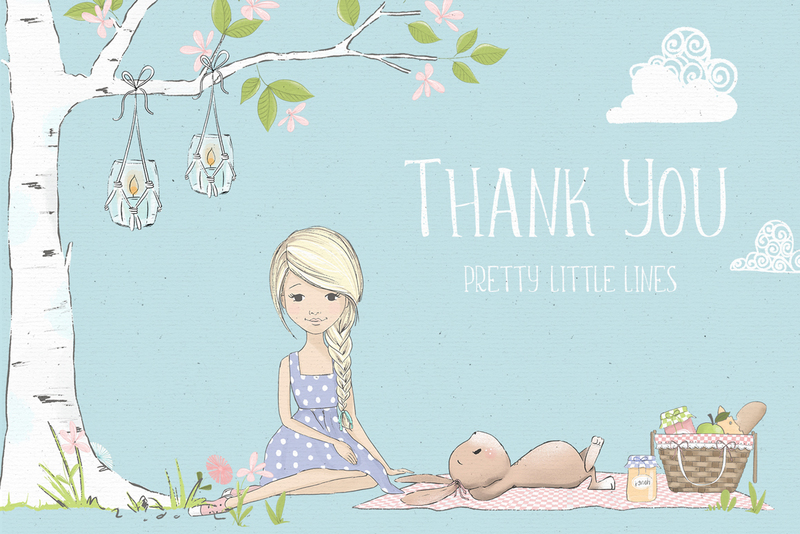 All the illustrations are .PNG files with transparent backgrounds, making them compatible with most graphic software programs. Beautiful work!! I must have it! !